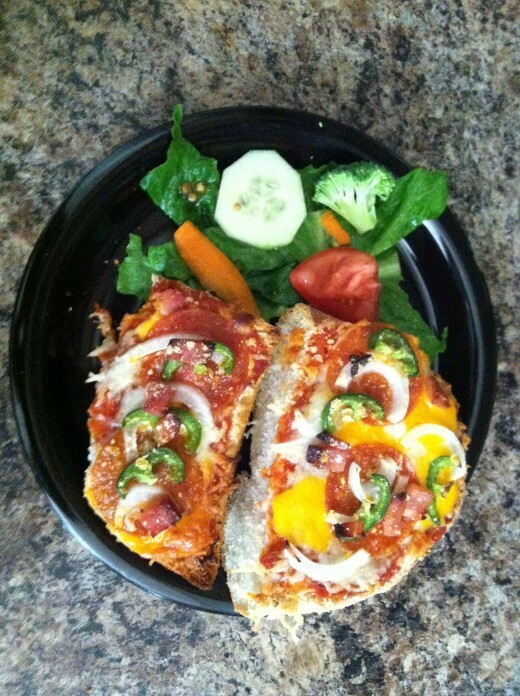 French bread pizza made easy! Easy Pizza made to order! Just a few quick thoughts on the history of pizza, although it is a contentious issue as to who and what nation first invented pizza. Typically, it is laid claim to by the nation of Italy, and it seems there are few legitimate contestants to this. Virgil wrote down a recipe for pizza in the first century B.C. before his death, while it was 1000 A.D. before the word "picea" appeared in many historical writings of Italy. From there, it seems that Italian immigrants brought pizza to the shores of America. The first known records of an American commercial pizza goes back to 1905, when Gennaro Lombardi opened up Lombardi's Pizzeria Napoletana in New York City. It's reported that this first pizza restaurant was not a success, due to the taste for and demand of commercial pizza had not yet grown in American cities. By the time the first Pizzeria Uno was opened in Chicago, returning American GI's had acquired a taste for this dish while serving in Italy during WWII. Owner and pizza maker Sewell created the first deep dish pizza and tickled Americans tastebuds with this unique recipe. While the majority of Americans of today love good pizza, whether deep dish, Chicago or New York style, or even frozen pizzas; our appetite for pizza is solid. You can probably get a cheap pizza delivered to your home before you can get an emergency responder to your home in many areas. But by the time you add all your favorite toppings to that cheap pizza, the price may have tripled. Now, you can make your own pizza to order, without messing with making your own crust or buying a pre-made crust that tastes like cardboard. Here at our house, we like to get the Frenchbreads with parmesaen/ garlic or "everything" added for extra flavors in the crust. (I recommend buying the Frenchbread the day you plan to use it, or at most, the day before, as they start to mold quickly in hot and humid climates.) French baguettes also make a great crust and once split in half are the perfect size for an individual serving! Pre-heat oven to 400 degrees farenheit, and cover a large cookie sheet with aluminum foil; this will keep the melting cheeses off your pan and make clean-up a breeze! Cut the French bread into 4 inch sections, standing each one on cut edge and slice down the middle evenly. This is done so that when you arrange the bread with tops or bottoms down on the pan the sliced bread is somewhat level and the toppings won't all slide off while backing. Arrange all your slabs of bread edge to edge in rows on the covered cookiesheet. Next, while the oven gets to cooking temperature, slice and chop enough peppers, onions, mushrooms, or any other vegetables you prefer on pizza. Just a couple of slices of onion, peppers, and two mushrooms are enough to do half the loaf of bread, the other half, we only put meat, cheese and sauce on for the children. This is what makes these so perfect for a family of diverse tastes, we can cover half the loaf with everything and leave off all the veggies and spices for anyone else's unique tastes. Great pizza made to order without any real trouble! Just for ease of preparation, I recommend buying the mozzarell and sharp cheddar already grated. If not, just grate half of an eight ounce block of both cheeses, as eight ounces is plenty for one loaf. Make any adjustments to keep bread sections as level as possible, as well as both rows and pieces touching each other, this will help to keep all toppings from seeping in between sections and allow them to come off sheet with ease. 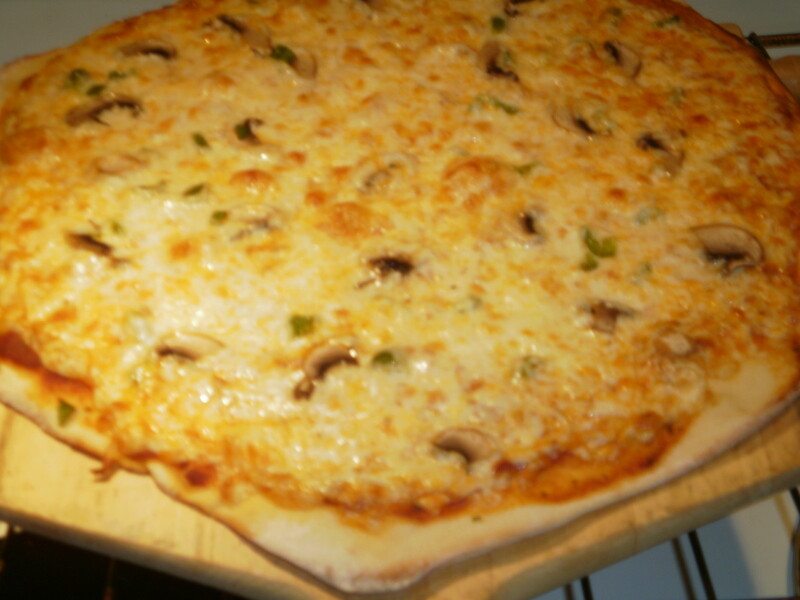 Scatter the peppers, onions, and mushrooms over enough slices to accomadate the tastes of your guests. Likewise, a dash of the crushed red pepper and garlic on the pizza for those with a more mature taste. If possible 1/2 loaf with all toppings and the other 1/2 with just meat, cheese, and sauce makes it easy to take care of all the tastes. Preheat oven to 400 degrees, and cover a cookie sheet with aluminum foil for easy clean-up. While oven pre-heats, do the prep work. With a serrated knife, cut Frech bread into about four inch pieces. Stand pieces on edge and slice as close to the middle as possible. Arrange bread on covered sheet so that they are as level as possible and touching each other. Cut up the onions and peppers, or any other vegetables you like on your pizza! If you don't have grated cheese, grate the cheese! 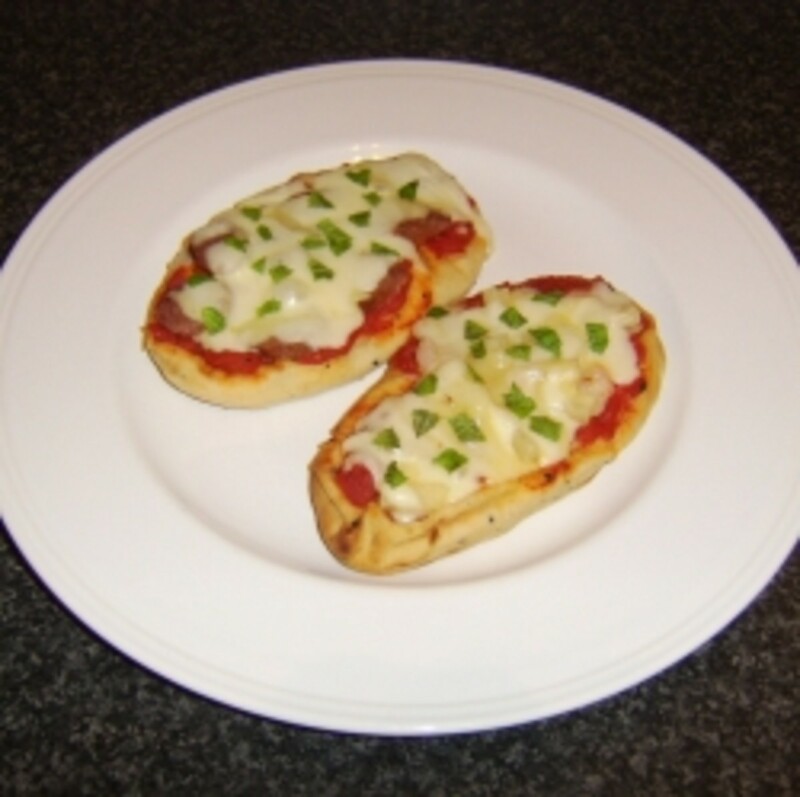 Spread 2-3 tablespoons of sauce on top each bread slice, cover with mozzarella and cheddar cheese, top with several slices of pepperoni, sprinkle onions and peppers for those who like them, and sprinkle some crushed red pepper and garlic on to satisfy individual tastes. Place cookie sheet on middle rack and bake for 15-20 minutes, depending on tastes. Remove from oven and let cool for several minutes. 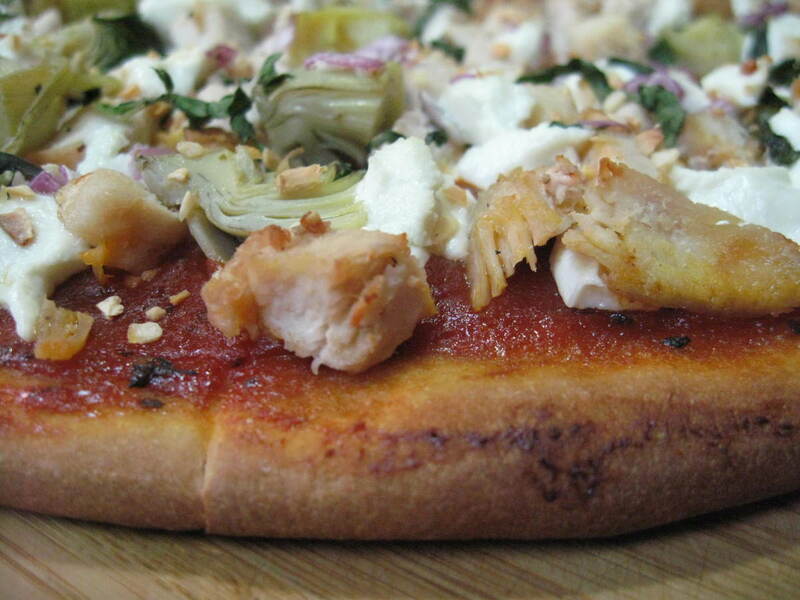 Serve and enjoy pizza made to your personal tastes. Hey Vampdes, That's what I was hoping for, to inspire others creativity in the kitchen. Good comeback on your bbq chicken pizza. You've got me thinking about Alfredo instead of the pizza sauce covered with chicken and cheese. Thanks for the great reviews! Eat and enjoy! Hey Karre, Thanks for the great comments, It's easy and tastes great, hope you enjoy it! Love the history and love pizza. Will definitely try this! That looks absolutely delicious! It's making me hungry right now! Haha! 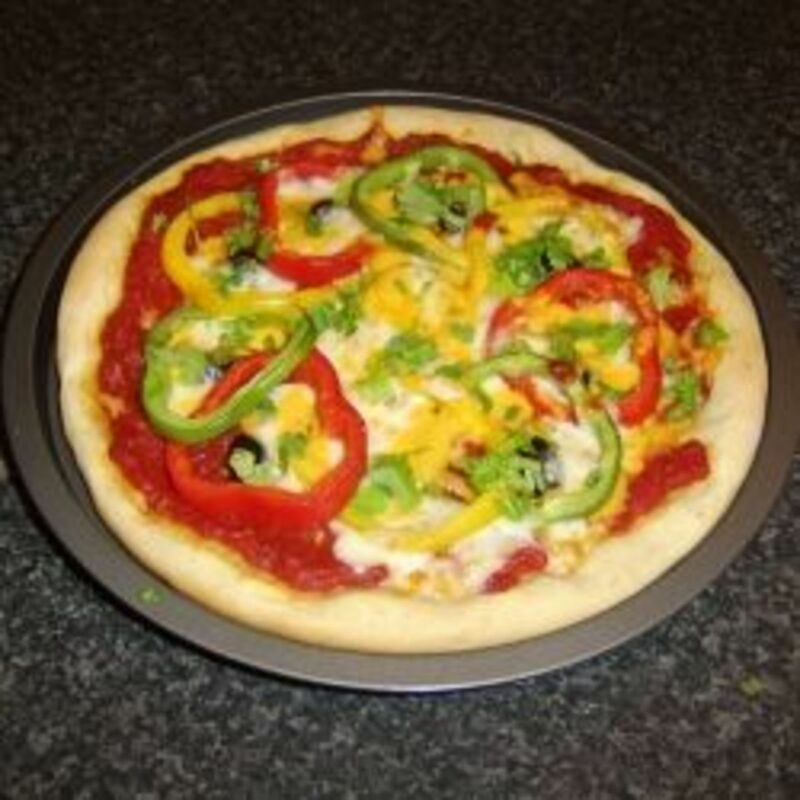 What's so great about this recipes is you could literally add whatever kind of toppings you want and experiment with all new varieties of pizza. Immediately I began thinking about adding BBQ sauce instead of pizza sauce then topping with shredded chicken and cheese of course. This is easy and fun and voted up! Yeah Will, I have fond memories of Chef Boyardee pizzas as well. And although I love real pizza crust, pizza crust is definitely not my specialty. Sometimes you have to cheat to acheive quick and easy, and French bread makes a great substitute! Thanks for your quick comments. Love your Wolf story, as I said it was quite entertaining after reading something elsewhere that I found to be real disagreeable! Ready to go back for the next chapter! Hey Victoria Lynn, Thanks for your feedback on my first food hub. It's quick and easy, kinda like it's shake and bake an I helped! Hey livingpah2004, Thanks for your read, vote up and comments. It's quick and easy for folks like me. Great ideas. Thanks for sharing it. Voted up! Yum!Looks delicious. Great idea about making different slices different for individual tastes. Great hub! What a great idea! My first pizza was made by my older sister from a Chef Boyardee box. It was simply dough, tomato sauce, and cheese, but it was still pretty good, and it made me a lifelong fan!